If there’s one day of the year to pull out all the stops and wear your very finest, it’s New Year’s Eve. The most glamorous time of the season, people from all over the world will get dressed up and attend fabulous parties to celebrate the end of this year and ring in the new. If you’re planning on partaking in the festivities with free-flowing champagne, decadent food, and rocking dance floors, then an ultra luxurious Rolex is in order for that all-important countdown to midnight. 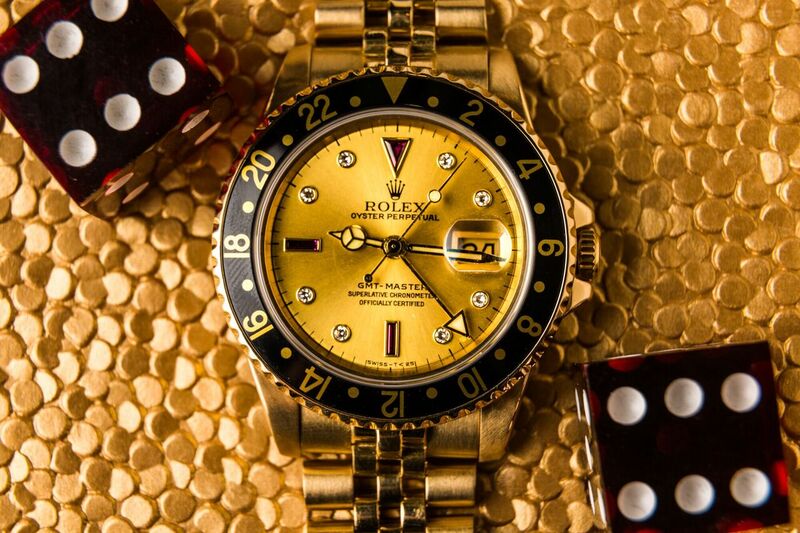 Read on for our top four picks on which Rolex watches to wear this New Year’s Eve. A timepiece that’s both classic and contemporary, the Rolex Datejust II is everything you want a modern dress watch to be. The ref. 116334 features iconic Rolex design elements such as the date window plus Cyclops duo at 3 o’clock, the white gold fluted bezel, and Roman numerals. On the other hand, it’s also perfectly modern with its 41mm case size, stainless steel Oyster bracelet, and vibrant blue dial. 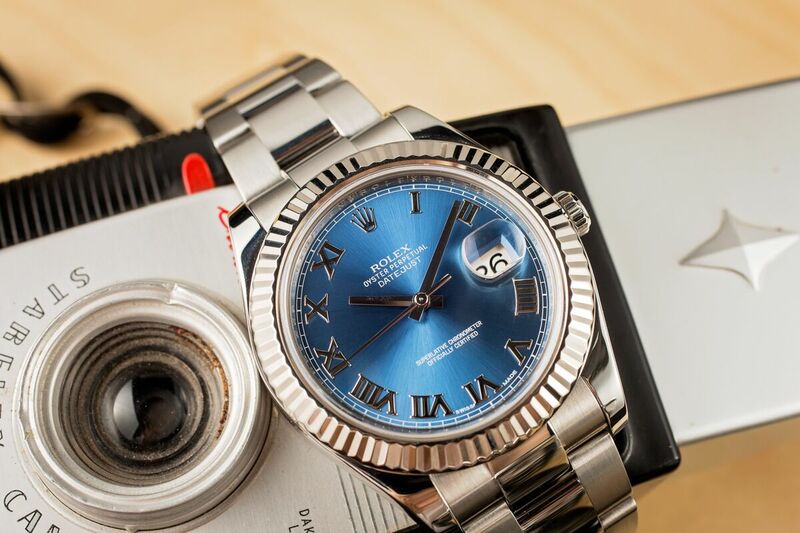 More understated than flashy thanks to its stainless steel and white gold colorway, the Datejust II ref. 116334 will go with anything you decide to wear. While the Submariner ref. 16613 is technically a sporty dive watch, its two-tone configuration makes it super dressy too. The combination of stainless steel and yellow gold on the 40mm watch case and Oyster bracelet is the perfect frame for the black dial and black bezel. As an older version of the Sub, this discontinued model features the traditional aluminum bezel—favored by many over the newer ceramic bezels. The Cyclops lens on the sapphire crystal ensures that you’ll clearly see 31 instantly jump to 1 at the stroke of midnight. 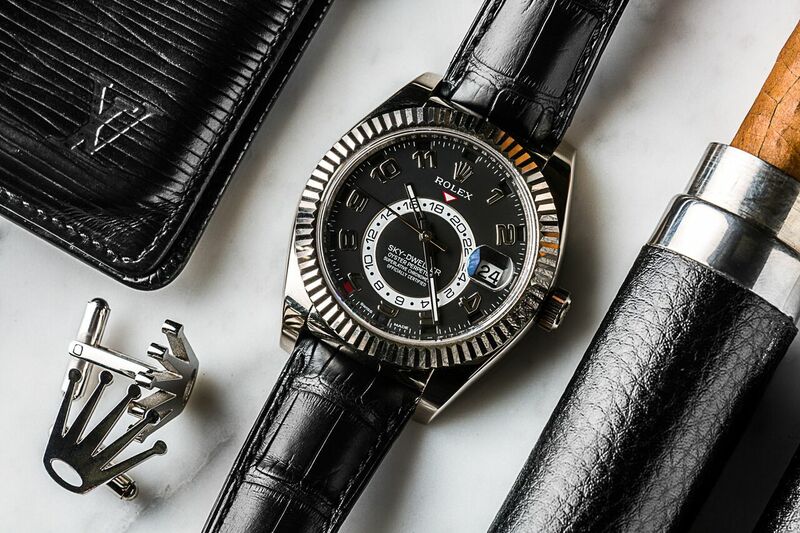 If you’re looking to bring even more bling to the party, then look no further than the vintage GMT-Master ref. 16758. Not only is the luxurious pilot’s watch crafted almost entirely in 18k yellow gold, but this ref. 16758 is also equipped with the opulent Serti dial. The diamond and ruby dial, gold case, and gold Jubilee bracelet throws it way back to a flashier time when glamor was the name of the game. Plus, the extra 24-hour hand and bezel lets you keep track of two time zones so you’ll know when another city welcomes the new year. Not only is the Sky-Dweller ref. 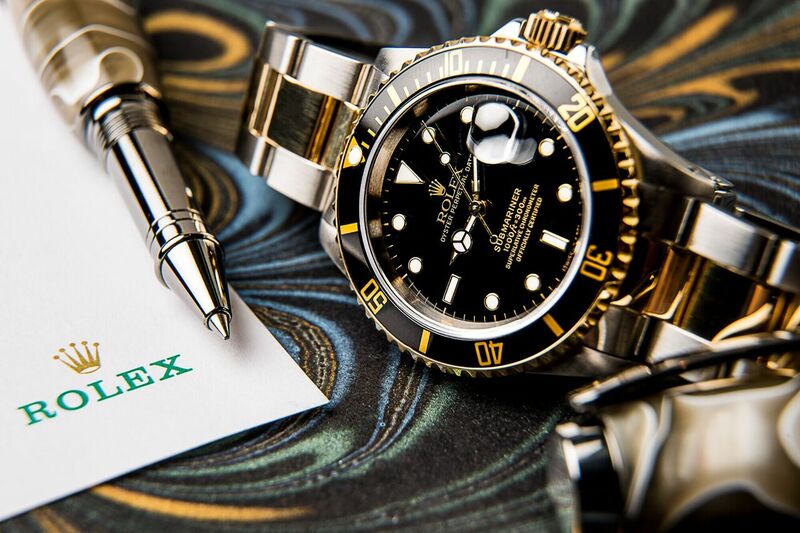 326139 the newest member of this Rolex group, but it’s also the most lavish. With its large 42mm white gold case, decorative fluted bezel, and rich black leather strap, the modern ref. 326139 is one heck of a statement watch. Moreover, its dial is a complex web of information that’ll tell you the time, date, and month of your own time zone, in addition to the time in another location of your choosing. Whether you decide to watch the ball drop at midnight or keep your eye on the dial to see everything switch over to a new date and month when that seconds hand hits 12, is up to you.